BOOK SUMMARY: A story within a story. Wuthering Heights is a passionate story of the toxic love between Catherine Earnshaw and Heathcliff. When first published, this poetic masterpiece was extremely controversial for its immorality and its physical and mental cruelty. It has stood the test of time and is truly one of the most influential classics ever written. OUR GROUP REVIEW: Ashley did such a great job moderating Wuthering Heights. We actually had a little bit of mixed reviews on this book though. Some people really loved it and others not so much. The ratings ranged from a 2 to a 4.5 stars. Although some people didn’t love the book, we all agreed and knew this book would make for some awesome discussion. We discussed why Wuthering Heights has been one of the most influential books in literature. This book was published over 150 years ago. At the time it was pretty risque and pushed a lot of boundaries. It got many mixed reviews, many people thinking it had too much cruelty, vengeance, inhumanity, and diabolical hate. It was also written extremely well, especially for its time. Even though it was written really well, some people didn’t like it because of how it was written. It was a different time and the language was different so it’s not as easy to follow. We talked about the narration of the book from both Lockwood and Ellen’s point of view. There were things about this type of narration we liked, but the story coming from Ellen’s point of view wasn’t as believable. It would be almost impossible for her to remember every detail and conversation that she did. She also wouldn’t have been there for a lot of the interactions. Her point of view could have been misinterpreted. It posed a good question though. How different would your personal story be depending on who is telling it? Of course we talked a lot about all the different characters and all the relationships. We thought it was interesting how the author made most of the main characters very unlikable. We discussed whether or not Catherine and Heathcliff’s relationship was actually love or not. They were so obsessed with each other in such a selfish and toxic way that it was hard to consider it true love. They were both competitive in there love almost like they were in a battle of who loves who more and they had an ownership over one another. They obviously had a passion for each other though and were connected in an intimate way. Then there is Edgar and Catherine. Their relationship was very opposite from Heathcliff and Catherine. Edgar came with high social standing. He was reliable, easy, selfless, and predictable. Although times have changed so much and so many things are different now, some things haven’t changed. We discussed the fact that sometimes now we have the same decisions as Catherine did with her relationships. Did we choose a relationship with passion and unpredictability or one with stability and honesty? Did we take money and the sense of security into play with the people we had serious relationships with? We also debated on if we rooted for Heathcliff or Edgar. Although there was a little bit of mixed reviews on this book it really was so much fun to talk about. There were so many different discussion points and the characters were so complex we could have talked about them all night. It’s so fascinating how so much has changed in society and what was acceptable and unacceptable as compared to now. 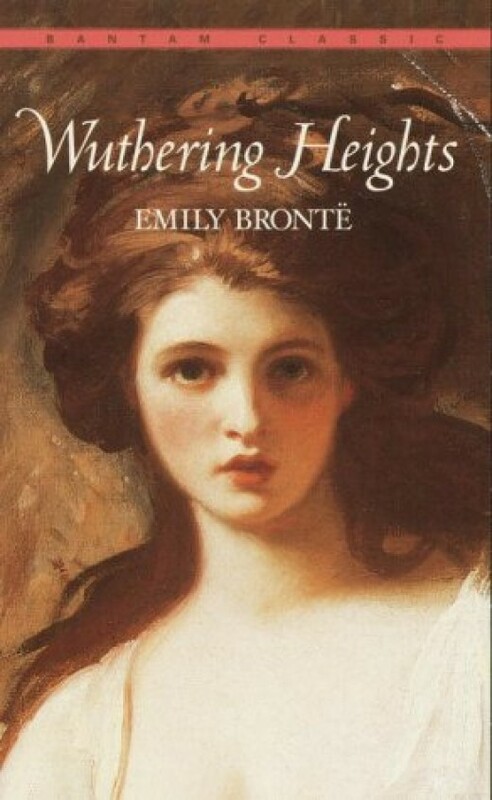 After you read the book we highly recommended watching the PBS masterpiece version of Wuthering Heights. It’s a great adaptation of the book. For some awesome in depth questions and where Ashley got some of her discussion points click here. ABOUT THE AUTHOR: Emily had an interesting life. I loved learning more about her story and her interesting family of writers. 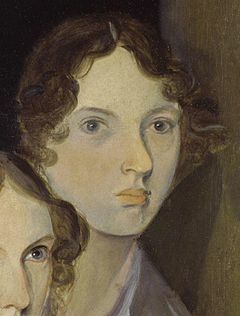 Born in Thornton, Yorkshire, England, on July 30, 1818, Emily Jane Brontë lived a quiet life in Yorkshire with her clergyman father; brother, Branwell Brontë; and two sisters, Charlotte and Anne. The sisters enjoyed writing poetry and novels, which they published under pseudonyms. As "Ellis Bell," Emily wrote Wuthering Heights (1847)—her only published novel—which garnered wide critical and commerical acclaim. Emily Brontë died in Haworth, Yorkshire, England, on December 19, 1848—the same year that her brother, Branwell, passed away. Some of Emily's earliest known works involve a fictional world called Gondal, which she created with her sister Anne. She wrote both prose and poems about this imaginary place and its inhabitants. Emily also wrote other poems as well. Her sister Charlotte discovered some of Emily's poems and sought to publish them along with her own work and some by Anne. The three sisters used male pen names for their collection—Poems by Currer, Ellis, and Acton Bell. Published in 1846, the book only sold a few copies and garnered little attention. 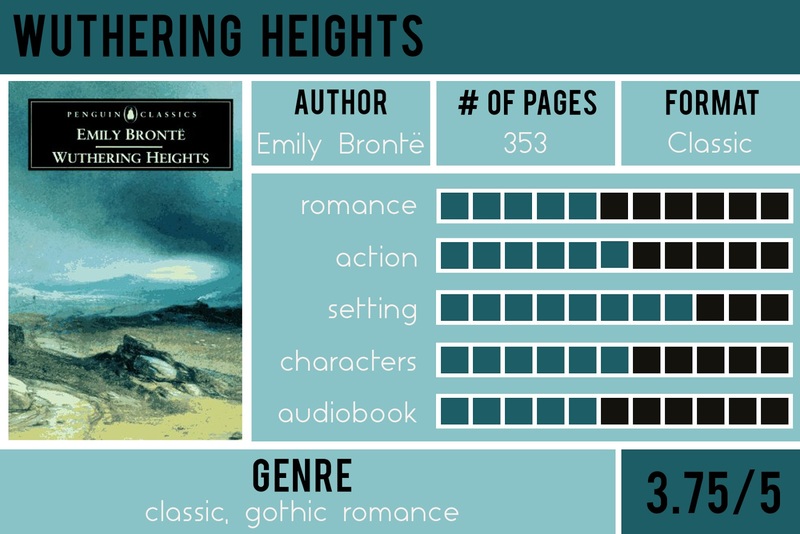 At first, reviewers did not know what to make of Wuthering Heights. It was only after Brontë's death that the book developed its reputation as a literary masterwork. She died of tuberculosis on December 19, 1848, nearly two months after her brother, Branwell, succumbed to the same disease. Her sister Anne also fell ill and died of tuberculosis the following May. Interest in Brontë's work and life remains strong today. The parsonage where Brontë spent much of her life is now a museum. The Bronte Society operates the museum and works to preserve and honor the work of the Brontë sisters.